The Supreme Court (SC) has postponed until October 17 its hearing on the Board of Control for Cricket in India (BCCI) vs. Lodha Committee matter. As the board is resisting carrying out some of the committee’s proposals that overhauls its functioning questioning their practicality, the SC threatens to raze it to the ground. Knappily decodes the tussle that has lasted months and one that could potentially change cricket in India. The Supreme Court has postponed until October 17 its hearing on the Board of Control for Cricket in India (BCCI) vs Lodha Committee matter. 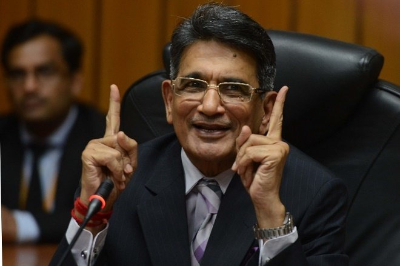 The Lodha Committee sought to replace the current BCCI top brass for stifling its efforts to usher in transparency in the Indian cricket administration. 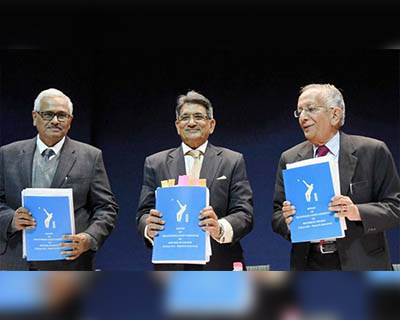 The Supreme Court-appointed committee had suggested sweeping reforms to the way the BCCI is run. The committee was formed to overlook the architecture and the functioning of the BCCI, and recommend changes. 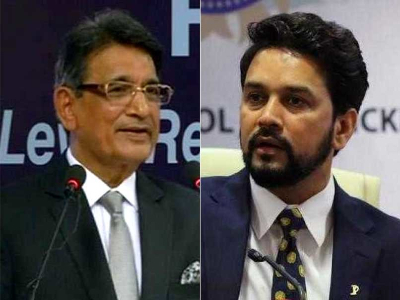 Last week, BCCI decided to adopt "important recommendations" made by the Lodha Committee after marathon meetings that lasted for close to six hours at its Special General Meeting (SGM) in Mumbai on October 1. 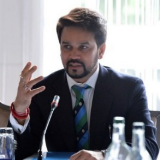 BCCI president Anurag Thakur said there were "legal challenges and practical difficulties" in accepting some recommendations. The BCCI had challenged the legal validity of the recommendations through a panel headed by retd. Supreme Court judge Markandey Katju and said that the reforms could potentially destroy Indian cricket if they are implemented. 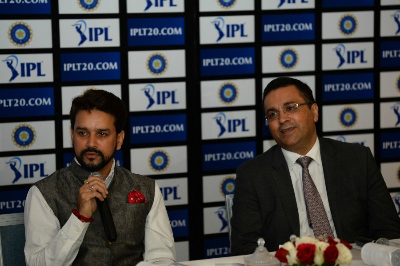 The panel proposed to limit the autonomy of Indian Premier League (IPL) by reducing its governing council to nine members. Two members to be nominated or elected by the full members. One from the Comptroller and Auditor General’s office. The committee proposed that full membership and voting rights shall only be bestowed upon cricket bodies representing a state. Therefore, non-territorial members such as Railway Sports Promotion Board, All India Universities, etc. will be relegated to history. It proposed to reduce the no. of full members from 30 (some of which don’t field teams, others represent territories) to 21 (20 states and one union territory, Delhi). States that have more than one member like Maharashtra and Gujarat (each of which has three) will be restricted to just one member. No BCCI official shall hold any seat for more than nine years in all. They cannot be over 70, can’t be government servants or hold posts in state associations, and cannot hold office for more than three terms. The term will now last for only three years and each member will be required to take a hiatus between two terms. The committee proposed legalised betting with strong restrictions. For example, players or team officials are not allowed to bet – which will be verified when they disclose their assets to the BCCI. It is estimated that illegal betting amounts to as much as Rs 3 lakh crore every year. “BCCI gives huge grants to the full members every year, to the tune of Rs. 20 to Rs. 30 crores. While the purpose of these grants is development of the game and the infrastructure, there is no strict vigil or supervision/audit by BCCI in regard to the spending of funds,” the report said. 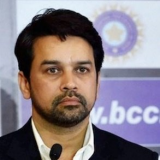 As a result, the BCCI is now asked to share details of rules and regulations, norms, meetings, expenditures, balance sheets, reports and orders of authorities on its website. Some other suggestions include criminalising spot and match-fixing, bringing the BCCI under the purview of the Right to Information Act, forming a players’ association to protect players’ interests, etc. Advertisements are only permitted during drinks, lunch and tea breaks. “The entire space of the screen during the broadcast will be dedicated to the display of the game, save for a small sponsor logo or sign,” the report adds. Why is the BCCI opposing this? While the board has accepted some of the recommendations, it has resisted those that threaten to prune the wings of the top officials. One of the major recommendations of the committee is to do away with bureaucrats in the BCCI hierarchy. The board feels that implementing this suggestion would alter its structure and officials will no longer be able to wield the same degree of control.Political connection is intrinsic to getting quick clearances in matters relating to cricket. However, it should be noted that while the SC has reprimanded the present office-bearers, the board’s predecessors have not functioned any differently. When did the clean-up begin? During the 2013 edition of the Indian Premier League (IPL), the Delhi Police arrested three players, S Sreesanth, Ankeet Chavan and Ajit Chandila on charges of spot-fixing. Subsequently, Gurunath Meiyappan, team principal of Chennai Super Kings (CSK), and Raj Kundra, co-owner of the Rajasthan Royals (RR) were arrested on betting charges. While Gurunath and Raj were banned for life from cricket-related activities, CSK and RR were suspended for two years. The case also revealed connections between team owners, players, bookies, and many instances of financial misappropriation. Following this, the SC appointed a committee headed by Mukul Mudgal to investigate irregularities in the IPL and BCCI. The committee was formed to weed out irregularities that have been used to manipulate voting patterns and elections conducted within the BCCI. A rationalisation of membership of the BCCI, which while claiming to be a “private body” performs “public functions”, is long overdue. Where did the Lodha panel come in? 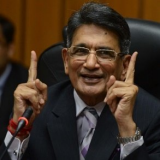 The Supreme Court appointed a committee headed by ex-CJI RM Lodha to propose reforms for cricket in India and usher in transparency in the way it functions. Determining punishments for Meiyappan, Kundra and their franchises, Chennai Super Kings (CSK) and Rajasthan Royals (RR), based on the Mudgal report. Examine the role of IPL chief operations officer Sundar Raman, in the 2013 scandal and impose a suitable punishment on him on behalf of BCCI. Propose amendments to the processes followed by BCCI with a view to preventing sporting frauds. The Lodha committee delivered a landmark judgement by banning Meiyappan and Kundra for life from activities concerning with Indian cricket. It also banned CSK and RR from participating in the IPL for two years. The players who represented the franchises were auctioned to different franchises. It absolved Sundar Raman, the ex-Chief Operating Officer of IPL, of any wrong-doing. It also proposed sweeping reforms in the governance structure of the board in an attempt to streamline the way it functions and bring in more accountability. 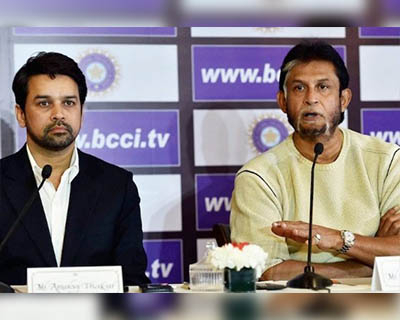 But the suggestions concerning with the overhaul the administration of the BCCI was supposed to remain advisory in nature, before the SC made them binding. Waiting at the fence for a written invitation "
The Court says the BCCI constitution is "highly incapable of achieving the values of transparency, objectivity and accountability [such] that without changing its structure it can't be done so." August 7, 2016 - Katju calls SC ruling "illegal"
"There has been violation of principles of the [Indian] Constitution. Under our Constitution, we have legislature, executive and judiciary. There is broad separation of functions. It's the legislature's prerogative to make laws.If judiciary starts making laws, one is setting a dangerous precedent," Katju says, five days into his role. The SC, who had enough of it, urges the board to "unconditionally" implement all the court-approved recommendations of the Lodha Committee by October 7. The SC postpones its hearing on the spat till 17 October.The apex court also bars the BCCI from releasing any funds to its state affiliates until they give an unconditional undertaking that they will comply with the organisational reforms. How many recommendations has the BCCI rejected? Doing away with politicians and bureaucrats in the board’s hierarchy. Implementing an age cap of 70 for its officials.Most of the board officials are above or nearing 70 and implementing this rule would mean that they would lose their positions. Not using grants for maintenance of club or to subsidise expenditure. Implementing a tenure cap of nine years with hiatus in between to allow fresh ideas to come in. Restructuring the Apex council to have five elected office bearers of BCCI (president, vice-president, secretary, joint secretary and treasurer), four other "councillors" – two (one male, one female) to be nominated by the Players’ Association which is to be formed, one to be elected by the Full Members of BCCI from among themselves and one to be nominated by the Comptroller & Auditor General (CAG) of India. Adopting the "one-state, one-vote" policy.